How many ways can you say I love you? What are fun ways to say I love you to your kids? 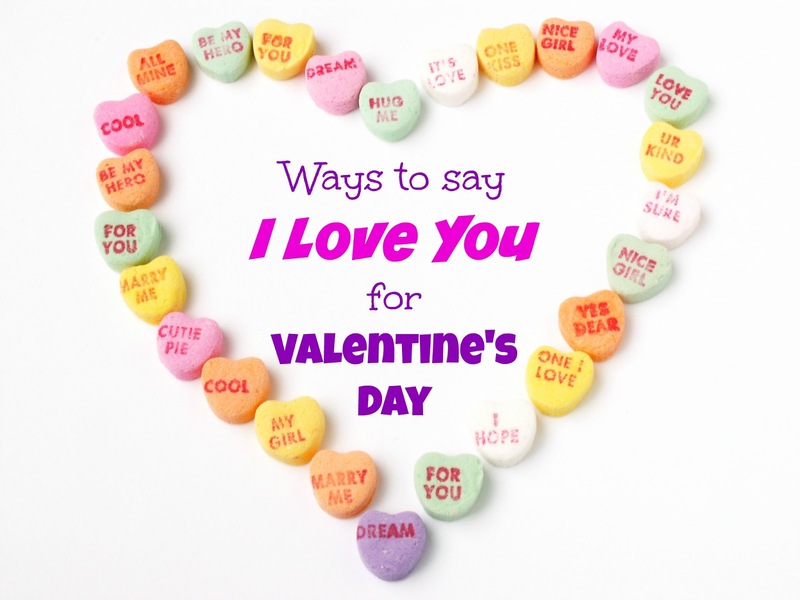 We found some easy ways to say I love you to your child, just in time for Valentine's Day. Enjoy! Simple Ways to Say I Love You. These ideas are for kids, but work for adults too! Add a Post-it with a surprise, positive message each day leading up to Valentine's Day. Scroll down to see this done with hearts. to build self-esteem and show your love. Each day in February up to Valentine's Day, pick a conversation heart to slip into their lunch box. They'll look forward to the message. On Valentine's Day, give them the entire box! for Valentine's Day from Farm Fresh Meals. No conversation hearts or you don't want to give candy? 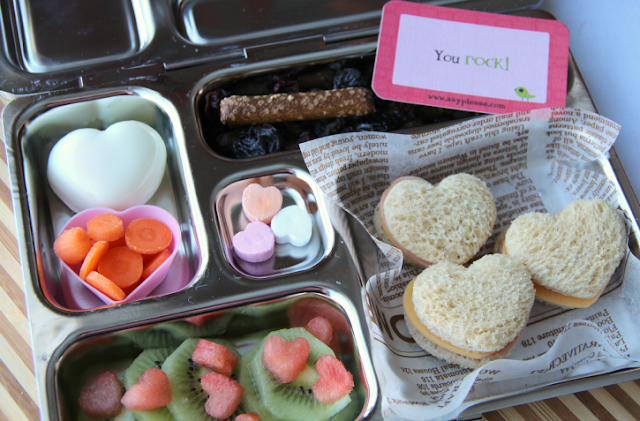 Try these ideas to say I love you with lunchbox fruit messages. 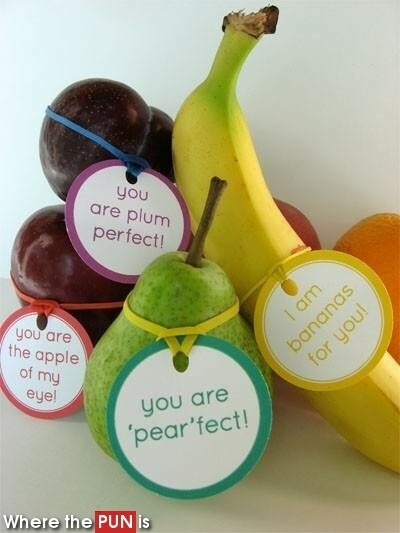 Ways to say I love you with Fruit Puns from Where the Pun Is. 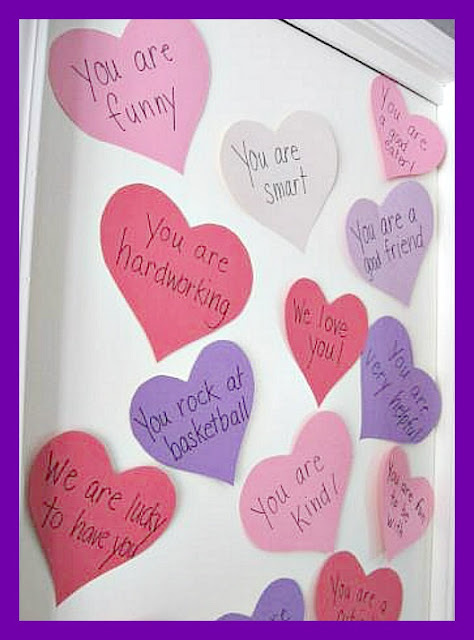 Similarly to conversation heart idea, you can stick a message to their door every morning. Cut out heart shapes, like these found on Decorating Day by Day, or just use pink and red Post-it Notes as pictured above. Messages on door are a fun way to say I love you. Pregnancy.org shares some fun, simple ways to say I love you to your child all year long. We like the shaving cream on the mirror. Mirror messages are a simple idea that you can do every day. Washable or Dry Erase Markers are less mess and work great too! To say I love you, write messages on the mirror with Dry Erase or Washable Markers.